Every year, 200 people in WA are diagnosed with a High Grade Glioma, commonly known as a brain tumour. It is almost invariably fatal, with a rapid decline in function and independence and affects not only the patient, but the carer and family unit. speech pathology, dietetics and social work reviews. Dr Georgia Halkett, Senior Research Fellow in the School of Nursing at Curtin University says their research has shown carers of people with brain tumours are significantly more distressed than patients and feel poorly prepared to give the extensive care they need to provide their loved ones. complicated grief in the carer,” says Dr Halkett. To help reduce this stress, Dr Halkett, Professor Anna Nowak from the University of Western Australia and their team have developed and piloted a tailored nurse-led education and support intervention for carers of people with brain tumours. “Participants are initially identified as eligible for the study by their medical oncologist or the cancer nurse coordinator,” says Dr Halkett. 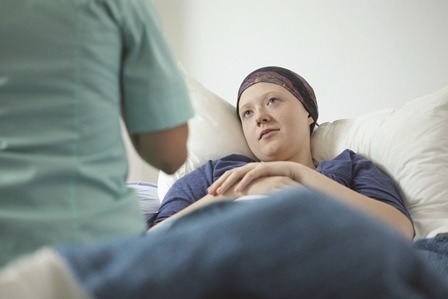 An initial telephone assessment of carer’s needs is conducted and is followed by a home visit in which an oncology nurse facilitates carer referral to existing community, allied health, and psychosocial services. An individually tailored resource file is given to the carer complete with all the relevant information required. “The resource file contains comprehensive tailored information which is based on identified individual patient and carer needs,” says Dr Halkett. Participants are being recruited from Sir Charles Gairdner Hospital and St John of God Hospital in Murdoch and Subiaco.